SAN FRANCISCO -- Police conducting a traffic stop in San Francisco's Mission district Friday evening allegedly found a firearm that had been reported stolen from a law enforcement officer's parked car. Officers initiated the traffic stop at 5:36 p.m. in the vicinity of South Van Ness Avenues and 26th Street after noticing a damaged brake light. 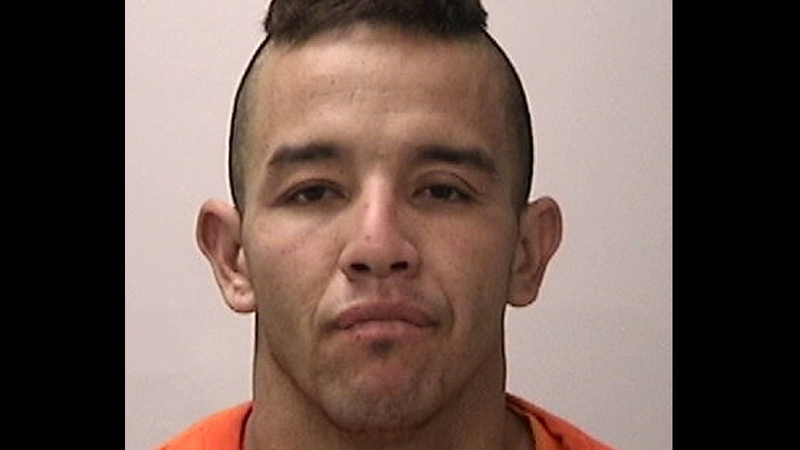 Sergio Manriquez, a 29-year-old San Francisco resident, was found to be driving without a license. He was also on probation, according to police. During a search of his vehicle, officers allegedly found a gun that had been reported stolen from an off-duty law enforcement officer Oct. 17. The weapon was apparently stolen from a locked vehicle in the 1200 block of Howard Street, police said. Manriquez was arrested on suspicion of possession of stolen property, weapons and traffic violations, as well as violating the terms of his probation.